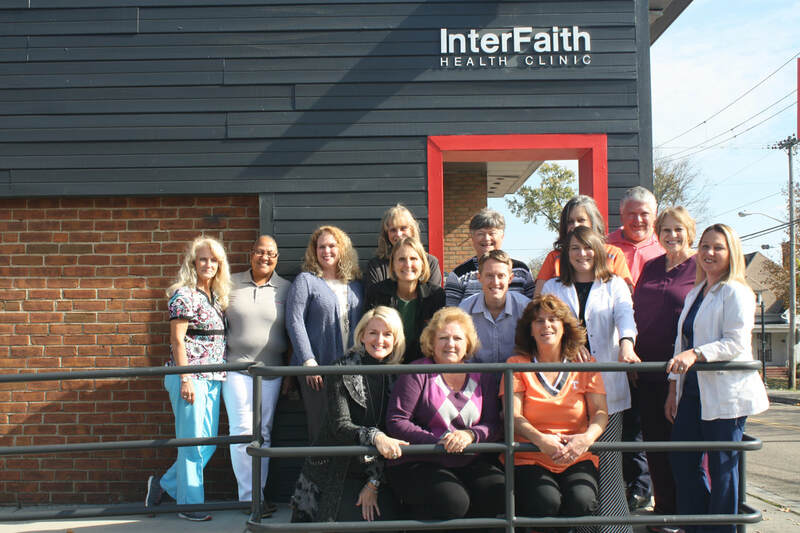 The staff at InterFaith is dedicated to our mission. There is very little staff turnover because our leadership continues to seek out extraordinary people to handle the day to day operations of a busy practice. If you talk to staff individually, they will tell you that the biggest reason they want to work here is because they believe in the mission. It shows. The InterFaith staff family strives to offer hope to those who need it. Melissa Knight has been serving as an administrator at InterFaith since 1994. With a background in banking, Melissa was drawn to InterFaith because of her strong desire to help people in need, and after 24 years at InterFaith she still feels very passionate that there is a way to provide quality comprehensive healthcare to the working uninsured through grassroot efforts & and community collaborations. When she’s not managing things at the clinic, Melissa enjoys reading, cooking, serving at her church, and spending time with her family. Dr. Ruth Baldridge graduated in family medicine from Marshall University School of Medicine in West Virginia and completed her residency at the UT Medical Center in Knoxville. Dr. Baldridge has been practicing medicine for 23 years and is board certified in family medicine and in hospice medicine and palliative medicine. Stephanie Dockery has a bachelor’s degree in organizational management and has worked in the medical field for over 21 years. Stephanie has been in management for 13 years and has served as InterFaith’s practice manager since 2014. When she’s not scheduling volunteers or managing clinical programs, Stephanie enjoys volunteering at her church, cooking, being outdoors, spending time with her family, and solving true crime cases on the Investigation Discovery channel. Missy Standifer has 28 years’ experience in team-building, event planning/fundraising, leadership and volunteer development, public relations, marketing, and public speaking. She has a passion to help connect people to a purpose bigger than their everyday lives. She believes that giving to InterFaith is a great way to do just that! She loves exercising, reading, and both she and her husband enjoy watching their two boys play sports (especially football). Kelly Mainor started her career at InterFaith at 2005 as an intern while getting her bachelor’s degree in communications from the University of Tennessee. She fell in love with InterFaith’s mission and has been working in the development department ever since. When she’s not writing grants or planning fundraisers for InterFaith, Kelly loves camping, reading, cooking, traveling, and keeping up with her two rambunctious boys. David Miller has been with the clinic since 2007 as Director of Mental Health and Social Services. 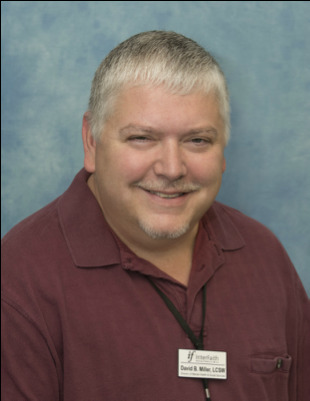 He was employed at Cherokee Health Systems fifteen years before joining the InterFaith Staff. David has spent his career working with the uninsured and underserved and felt right at home from the beginning of his time at Interfaith.